Jane Kearley was born in 1954 in Decatur, Alabama to Mr. and Mrs. Oran Noel Hayes. She was their second child and has an older brother, Perry Hayes, who now lives in Pettigrew, Arkansas. In her early childhood, her father was called into the ministry. In the ensuing years, the family moved to various church fields in Alabama, Mississippi and Florida. Because she constantly changed communities and schools, she learned how to easily make friends and appreciate the diversity of people with whom she came in contact. After graduating from Pensacola High School in Pensacola, Florida in 1972, Jane moved to Ozark, Alabama to join her parents who had moved to a new pastorate in December of 1971. She began working at a local nursing home and worked as a part time pianist at the church where her father pastored. During this time, she also attended Enterprise Junior College where she completed an Associates Degree in 1974. While living in Ozark, Jane met Greg Kearley from Fort Walton, Florida and they wed on September 7, 1974. When Greg accepted work in the Acadiana area, the couple moved to Lafayette. Upon moving to Lafayette, Jane worked at Hancock’s Fabric Store and at Truman Elementary as a teacher assistant in special education. In 1976, she returned to college at the University of Louisiana at Lafayette; graduating with a Bachelor of Arts degree in Elementary Education in December of 1977. In January of 1978, she began her career in education as a second grade teacher at J.W. Faulk Elementary. In August of 1978, Jane was hired to teach sixth grade at Youngsville Middle School. She served at YMS for ten years, also teaching sixth and seventh grade language arts and the Title I Reading Lab. From 1988 -1992, she taught third grade at Plantation Elementary School. In 1991, the faculty and staff selected her as Plantation Elementary Teacher of the Year. While teaching, Mrs. Kearley continued her education by completing a Masters of Education degree in 1984 and an Educational Specialist Degree in 1992. Both of these degrees certified her to become an educational leader in the State of Louisiana. During this time, she also completed the Professional Improvement Program (PIP) initiated by the state. As a result of her educational pursuits, she became certified in the following areas: Educational Leader, Level 2; English as a Second Language; Principal; Computer Literacy; Reading Specialist; Supervisor of Student Teaching; and Elementary Education, Grades 1-8. In the fall of 1992, Jane was selected as the assistant principal at Woodvale Elementary. She remained there for seven years under the leadership and training of Katherine Landry, the principal of Woodvale and a nationally recognized Distinguished Principal. She has remained Jane’s mentor and close friend since their work together in those years at Woodvale. In August of 1999, Jane was appointed as the principal at Broadmoor Elementary School. Her reputation as a friendly, compassionate, professional educator assisted her in excelling as principal of Broadmoor. She encouraged the teachers to be a positive influence in their students’ lives. Her motto was “Treat your students the way you would want your own children treated.” Her integrity and dedication to the students, faculty, and staff of the Broadmoor community as well as the integrity and dedication of the teachers and the support of the parents and community led the school in many achievements. During her tenure, Broadmoor was recognized as a School of Excellence under the state accountability program. Her constant pursuit of excellence helped Broadmoor Elementary School maintain its reputation as an outstanding elementary school in Acadiana. She served as the principal of Broadmoor Elementary from 1999-2008. Mrs. Kearley also actively participated in numerous professional organizations. Some of these include The Louisiana Association of School Executives, the Acadiana Association of Principals, the American Association of School Personnel Administrators, the Louisiana Association of School Personnel, Lafayette Parish Principals Association, Delta Kappa Gamma (Honor Society for Women Educators), Phi Delta Kappa (an Honor Society for Educators), National Education Association, Louisiana Association of Educators, Louisiana Association of Classroom Teachers, Louisiana Reading Association, Acadiana Reading Association, and the Lafayette Parish Association of Educators. The Southern Association of Colleges and Schools, a national accreditation organization that identifies, defines and monitors standards for excellence in education. Her role was to assure that member schools met the established quality standards. She was recognized for excellence in her service to this organization and its goals. During her tenure as a principal, she also mentored several educators who were involved in the educational leadership-training program required by the Louisiana State Department of Education. 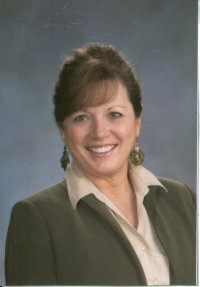 In 2008, Mrs. Kearley was appointed as the Director of Human Resources for the Lafayette Parish School System. While in that position she assisted in hiring excellent administrators, teachers and support personnel for the public school system. While there she developed a reputation for excellence, dedication and genuine efforts to assist all employees within the school system. Being a wife, mother of two daughters, Jennifer and Stephanie, and a full time educator is extremely time consuming, but Mrs. Kearley also participated in community and civic organizations. She volunteered to be a Peer Counselor / Trainer in the Youth Department of First Baptist Church in Lafayette for numerous years. She was the Sunday School Department Director for the eleventh grade for several years and a School Board Member of First Baptist Christian School in Lafayette for five years. She also worked as a children’s choir teacher for 13 years. She assisted in fundraising activities for the United Way of Acadiana, as an assistant troop leader for Girl Scouts of America and a team captain for the United States Tennis Association. Mrs. Kearley retired from the Lafayette Parish School System in June of 2012 after 34 years of service. She now spends most of her time enjoying her three granddaughters, gardening, traveling, learning pottery and taking care of her parents. In addition, she works part time as a sales account manager for Executive Promotions, a locally owned and operated promotional products business.